One big step that I decided to take a couple years ago was removing as many toxic chemicals from our home. Including personal care products and cleaning products. Harsh cleaning chemicals like bleach can be linked to some cancers and are easily absorbed into our bodies by breathing them in and absorbing them through our skin.. Many people don’t believe vinegar is as effective, but check out this article from care2.com. Studies have shown it can kill 99% of bacteria, 82% of mold, and 80% of germs(viruses). I also add a few drops of some essential oils that have anit-bacterial and anti-fungal properties to boost the germ killing effectiveness! This article may contain affiliate links for your convenience. Check out my disclosure here. Add a straight 5% solutions of vinegar to an empty spray bottle. I usually add a few drops of either thieves, tea tree or lemon oil which adds a nice aroma, and don’t worry the vinegar smells dissipates as it dries. Super easy and super cost effective! I also use Basic-H2 from Shaklee. A 16 oz bottle of concentrate can make 48 gallons of cleaner! It’s organic, super safe and does not contain phosphates, dyes, toxins, toxic fumes, hazardous chemicals, fragrance or chlorine. Another great cost efficient solution is hydrogen peroxide! I just unscrew the cap and replace it with a pump from an old spray bottle. Voilà, you have a great window cleaner! If my windows are really dirty or I’m working on the outside of the window, I will add a drop or two (That’s all you need! I promise!) of Basic H2 to the hydrogen peroxide. I will also use just warm water and these amazing microfiber cloths from FlyLady! For the tub I just sprinkle some baking soda and scrub it around with a wet sponge and rinse it clean. 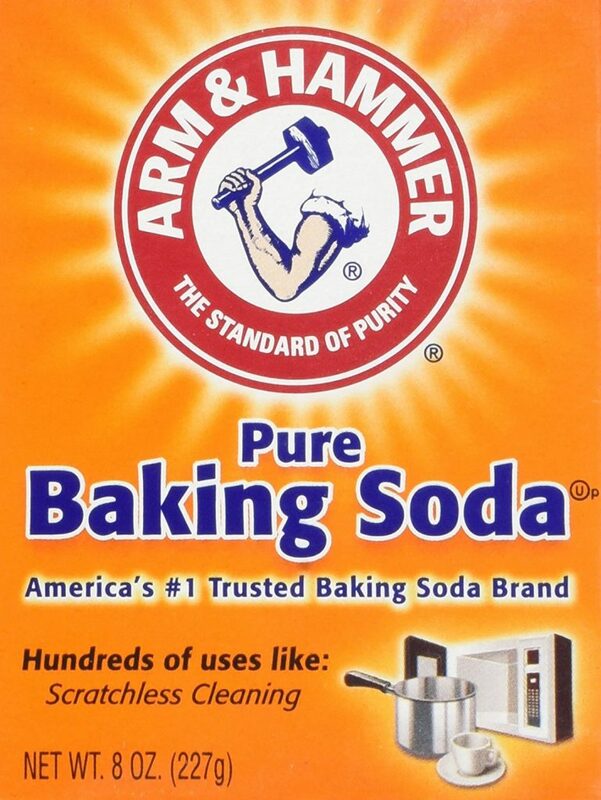 If you have some stubborn areas or stains, sprinkle with baking soda and let it sit for an hour then scrub and rinse. Baking soda is a fantastic (yet mild) scouring ingredient. I use the all purpose vinegar (a 50/50 blend) or Basic H2 cleaner on the rest of the bathroom. Our floors are what I have to clean the most and are the dirtiest, so what do I use to get them squeaky clean? Steam! That’s right the Bissell steam mop is my favorite and it will sanitize your floors killing 99.9% of germs and bacteria. It is also safe on so many different floor types and comes with a built in easy scrubber for those tough spots. All you need is water…no more chemicals! 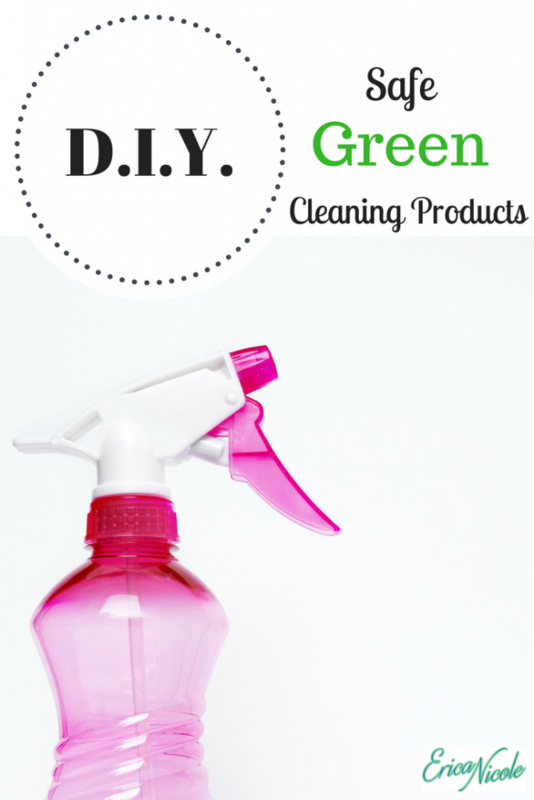 Now that I have switched over to safer and greener products I feel I am making my home clean, germ free, and safe. I also don’t mind my toddler helping knowing these products will not harm him! Win Win!